Stabilo Point 88 Fineliner Pen Black (Pack of 10) 88/46 Pack of 10 Stabilopoint 88 Fineliner Pens. 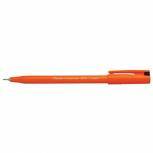 Hexagonal fineliner with metal encased tip for long life. Suitable for rulers and stencils. Fast drying water based ink does not smudge. Ventilated cap. Line width 0.4mm. Colour - Black. 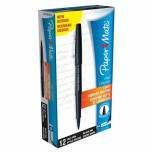 Papermate Black Flair Fibre Tip (Pack of 12) S0190973 Pack of 12 PaperMate Flair Pens. FREE colouring book with every purchase. Metal reinforced point prevents tip damage. Ideal for everyday writing and drawing. Water based ink is quick drying to help prevent smearing. Tip size 0.8mm. Pack of 12 pens. Black. 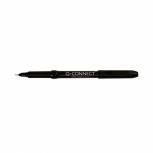 Q-Connect Black 0.4mm Fineliner Pen (Pack of 10) KF25007 Pack of 10 Q-Connect Fineliner Pen. An ultrafine tip writes and draws fine and precisely, ideal for writing, ruling and stencilling. This classic fine line writer produces a 0.4mm line width and a write out length of over 1800 metres. Colour - Black. Stabilo Point 88 Fineliner Pen Assorted (Pack of 10) 8810 Pack of 1 Stabilo Point 88 fineliner pens. Hexagonal fineliner with metal encased tip for long life. Suitable for rulers and stencils. Water based ink. Does not dry out quickly. Ventilated cap. Wallet of 10 assorted colours. 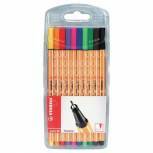 Staedtler Triplus Fineliner 0.3mm Black (Pack of 10) 3349 Pack of 10 Staedtler Triplus fineliner with metal-clad tip. Ergonomic triangular barrel for effortless and fatigue-free writing. Dry Safe: Can be left uncapped for 2 days without drying out. Pocket clip. Line width 0.3mm. Black. 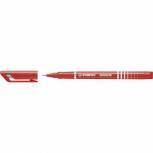 Pentel Sign Pen Fibre Tip Red S520-B Pack of 12 The original fibre tipped pen. Perfect for graphics and illustrations. Non permanent water based ink. Approximate line width up to 2.0mm. Red. 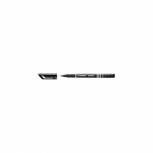 Pentel Ultra Fineliner Black Pen S570-A Pack of 12 Pentel S570 Ultra Fine Pen. Plastic tip is reinforced with a protective metal collar for a more precise line. Perfect for detailed work. Line width 0.3mm. Colour - Black. Swash KOMFIGRIP Handwriting Pen Blue (Pack of 12) THW12BU Pack of 12 KOMFIGRIP Handwriting Pens. Triangular grip for correct position and comfort. Pressure resistant nibs for heavy handed use. High quality, washable, rapid drying ink with virtually no bleed through. 14 day cap off time. Clear ventilated lids. Colour: Blue. 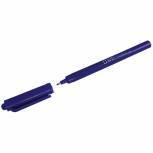 Pentel Sign Pen Fibre Tip Blue (Pack of 12) S520-C Pack of 12 The original fibre tipped pen. Perfect for graphics and illustrations. Non permanent water based ink. Approximate line width up to 2.0mm. Blue. 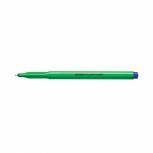 Stabilo Point 88 Fineliner Pen Blue (Pack of 10) 88/41 Pack of 10 Stabilopoint 88 Fineliner Pens. 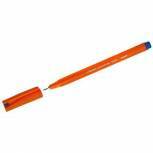 Hexagonal fineliner with metal encased tip for long life. Suitable for rulers and stencils. Fast drying water based ink does not smudge. Ventilated cap. Line width 0.4mm. Colour - Blue. 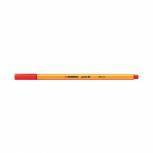 Stabilo Point 88 Fineliner Pen Red (Pack of 10) 88/40 Pack of 10 Stabilopoint 88 Fineliner Pens. Hexagonal fineliner with metal encased tip for long life. Suitable for rulers and stencils. Fast drying water based ink does not smudge. Ventilated cap. Line width 0.4mm. Colour - Red. 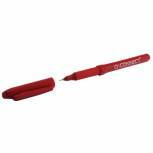 Q-Connect Fineliner Pen 0.4mm Red (Pack of 10) KF25009 Pack of 10 Q-Connect Fineliner Pen. An ultrafine tip writes and draws fine and precisely, ideal for writing, ruling and stencilling. This classic fine line writer produces a 0.4mm line width and a write out length of over 1800 metres. Colour - Red. 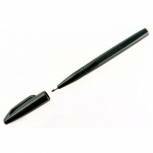 Pentel Sign Pen Fibre Tip Black (Pack of 12) S520-A Pack of 12 The original fibre tipped pen. Perfect for graphics and illustrations. Non permanent water based ink. Approximate line width up to 2.0mm. Black. Artline 200 Fineliner Pen Fine Red (Pack of 12) A2002 Pack of 12 Artline Fineliner 200 is ideal for writing and sketching. 0.4mm plastic tip reinforced by strong one-piece metal collar. Red. Stabilo Sensor Fineliner Bright Pen Black (Pack of 10) 189/46 Pack of 10 Stabilo Sensor. Exclusive fineliner with aluminium look. Metal-encased tip with micro-cushioning can withstand pressure. Line width 0.3mm. Pack of 10. Black. 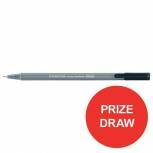 Fineliner 0.4mm Black Pens (Pack of 10) WX25007 Pack of 10 Fineliner pen for neat writing and drawing. Gives you an easier way to get precision. Allows you to create stylish and easy outlines. Ink flows in a smooth, reliable manner. Writes with a 0.4mm line. Black. Pack of 10 pens. Fineliner 0.4mm Blue Pens (Pack of 10) WX25008 Pack of 10 Fineliner pen for neat writing and drawing. Gives you an easier way to get precision. Allows you to create stylish and easy outlines. Ink flows in a smooth, reliable manner. Writes with a 0.4mm line. Blue. Pack of 10 pens. Stabilo Sensor Fineliner Bright Pen Red (Pack of 10) 189/40 Pack of 10 Stabilo Sensor. Exclusive fineliner with aluminium look. Metal-encased tip with micro-cushioning can withstand pressure. Line width 0.3mm. Pack of 10. Red.